The PM Sensor Board is based around Plantower PMS 50031 a digital particle concentration sensor that uses the Laser Scattering principle to obtain the number of suspended particles in the air. This includes a custom designed PCB with an MCU to provide I2C connectivity with the Data Board. The PM Sensor Board runs a dedicated ARM M0+ 32-bits, the same as the Data Board to provide a unified hardware architecture. The board includes an higly efficient step up to provide 5V to drive the PM sensors and a disable/enable circuit to turn off the sensor by software. Visit the source files section to download the complete schematics. The board is connected to the Data Board using the AUX connector. Before, the Plantower PMS sensors need to be connected. 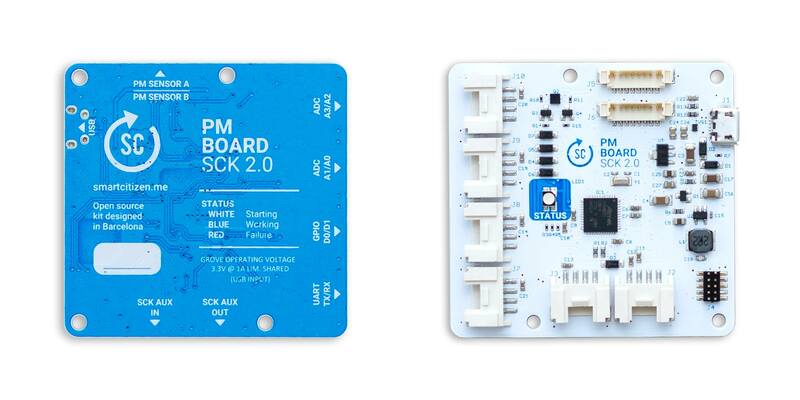 The board will autodetect the PMS sensors and present them seamlessly to the main Firmware running on the Data Board. 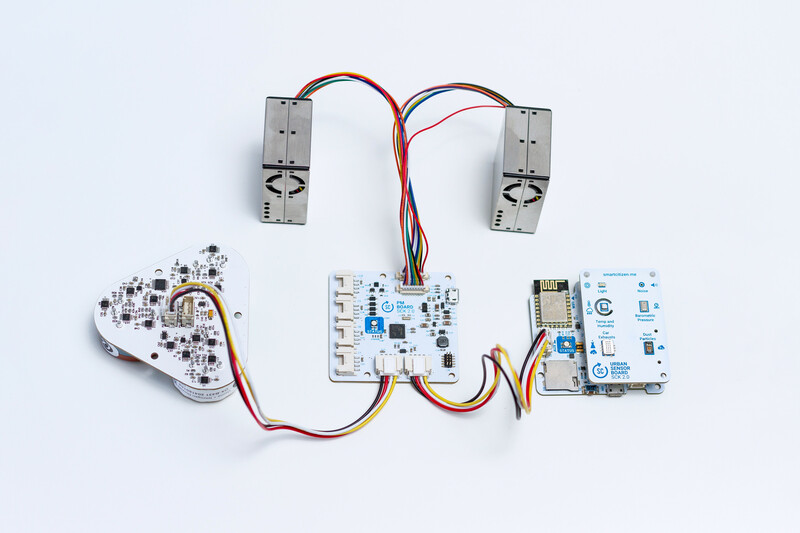 Multiple sensor board can be daisy-chained as seen on the image.